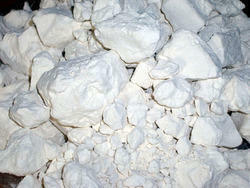 Kaolin is a white powder used as a filler for liquid casting resins in ceramic restoration. It is an ingredient of AKJ dough for gap filling. Kaoline is formed by the weathering of Feldspar. Kaoline is pure clay predominantly consists of kaolinite (Al2O3.2SiO2.2H2O) and associated with other clay minerals like dickite, halloysite etc. We have agreements with China Clay mine owners for mining and exporting of kaoline/china clay. Kaolin is a white and very plastic clay with multiple applications, consisting mainly of the mineral kaolinite (aluminum silicate). We bring forth superior quality Kaolin Powder, which is processed using latest technology. It is also known as China Clay. The precisely ground, Kaolin Powder offered by us, is highly demanded in the domestic as well as international market. 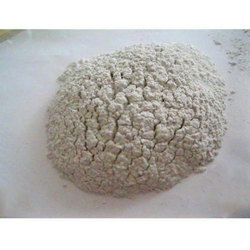 Further, the client can avail Kaolin Powder at reasonable prices.